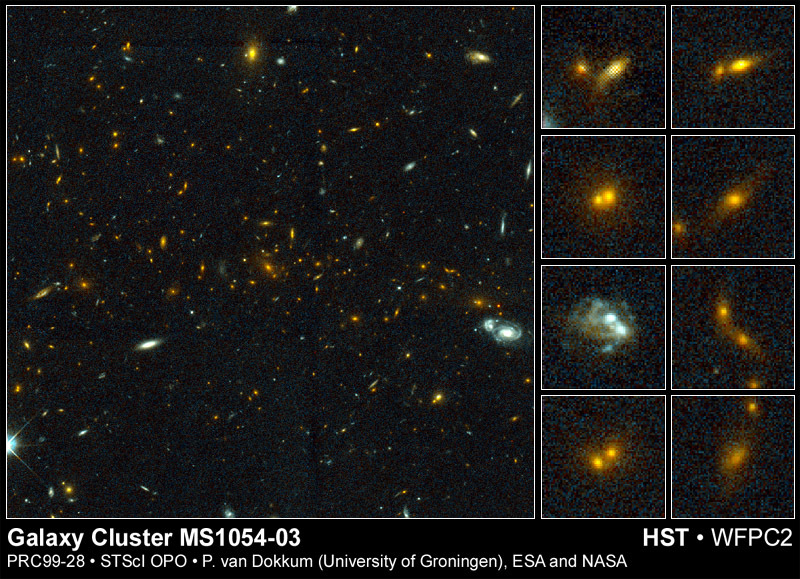 Opis: Hundreds of galaxies appear as faint smudges of light in this Hubble Space Telescope picture of galaxy cluster MS1054-03. 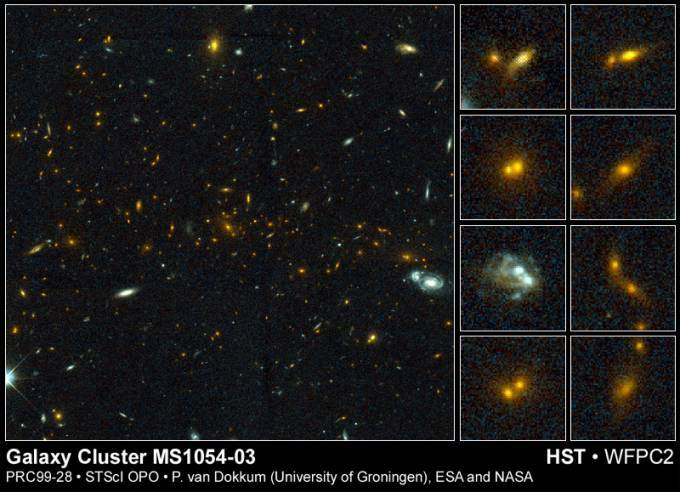 Eight billion light-years away, the cluster is among the most distant known clusters of galaxies and is now reported to contain the largest number of colliding galaxies ever found in a cluster. Examples of these truly cosmic collisions are shown in the insets at the right. Disrupted by gravitational effects, the colliding galaxies are thought to merge over a billion years or so to form larger galaxies - a theory of galaxy formation which seems to be borne out by these results. Though galaxy collisions appear to have occurred much more frequently in the distant, early Universe, they are still seen to happen in the nearby, "close-to-present" Universe.